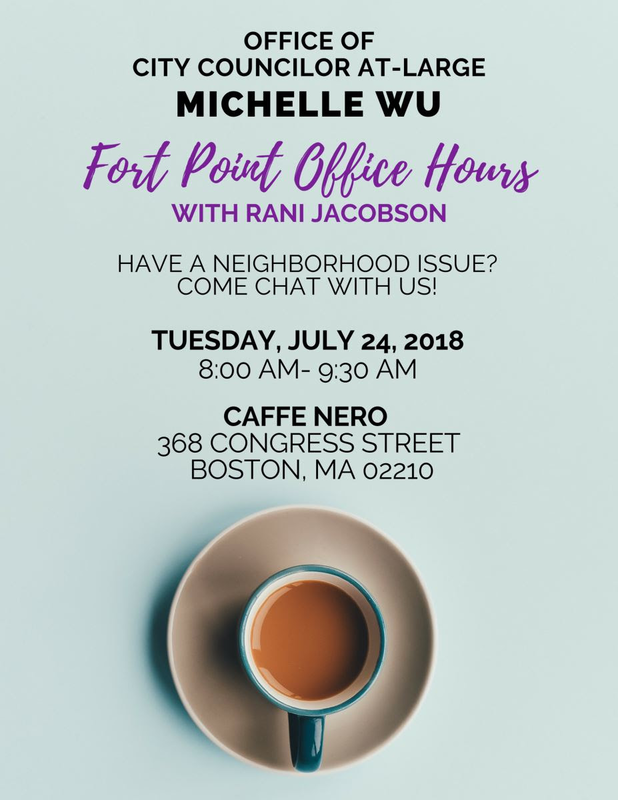 This event is a great opportunity to let Councilor-At-Large Michelle Wu know your ideas and concerns in the neighborhood, the city at large, and how the Councilor can help. 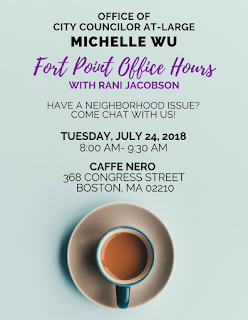 Drop by for your regular cup of coffee and conversation at this first time ever event. You will be glad you did.